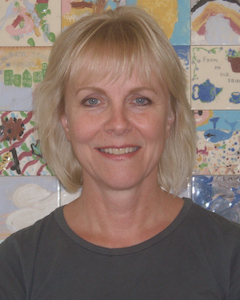 The challenge for those teaching art to young children is to facilitate self-expression. The work in the classroom is around creating teachable moments, and leading the students there, and then supporting the child’s journey of discovery as they find themselves in the process. It is an individual process, and it is a physical process, complete with fits and starts and unexpected turns and twists. Open ended activities — There should not be a ‘correct’ way to create an art project. Like snowflakes, no two projects should look exactly alike! 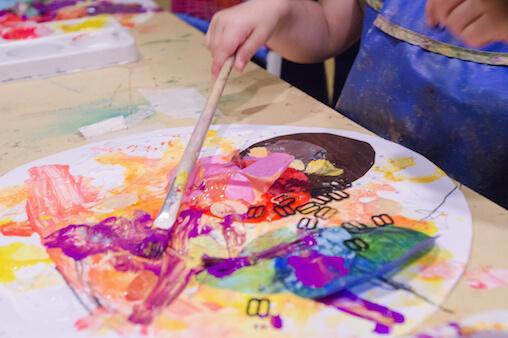 It’s ok to get messy — Your child should not be worried about getting ‘dirty’ from art materials, this will increase their self-consciousness and limit their creativity. Keep some old clothes dedicated to artistic making. Respect your child’s art — We have a rule that grown-ups are not allowed to change or add to the child’s artistic decisions. If an adult is having a hard time with this, we offer them their own piece of paper! Display your child’s work at home!